Get $10 Gift Card When You Spend $50 Through Christmas Eve! You are here: Home / Great Deals / Toys R Us $10 Gift Card When You Spend $50 Through Christmas Eve! Toys R Us $10 Gift Card When You Spend $50 Through Christmas Eve! Head over to Toys “R” Us to score a $10 Gift Card when you spend $50 on select Star Wars merchandise! Get a $25 card when you spend $100! In-store Only! Go here to get your in-store coupon! You get get the Hot Wheels Star Wars Escape from Jakku Play Set (above) currently on sale for $37.99 (Reg. 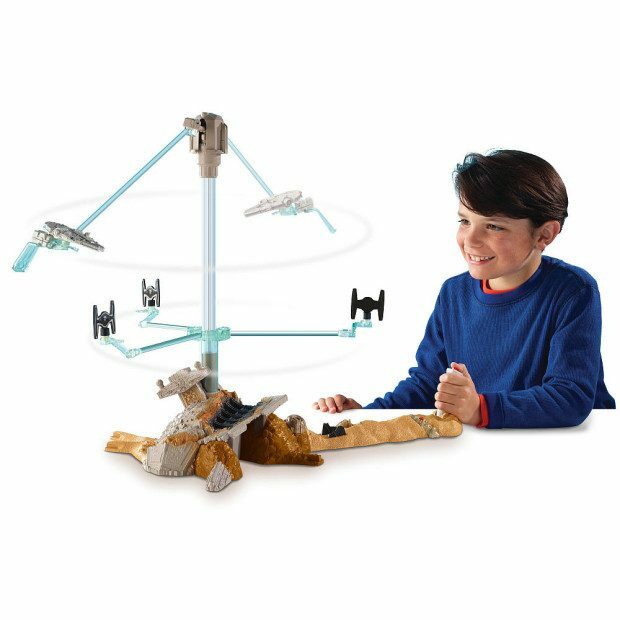 $50) and the Hot Wheels Star Wars Death Star Portable Playset on sale for $14.99 (Reg. $20) for a total net price of $42.98 after the $10 Gift Card!